Polish shipyeard Remontowa Shipbuilding has signed a new contract for the construction of two double - ended, modern car - passenger ferries for Estonian Customer "Port of Tallinn". The 114 meters long vessels will accommodate 150 passenger cars and 600 passengers. Contracted ferries will be the most advanced diesel -electric driven vessels operating in the water of Baltic Sea. The vessels will be also prepared for future upgrade for LNG Single or Dual Fuel propulsion. 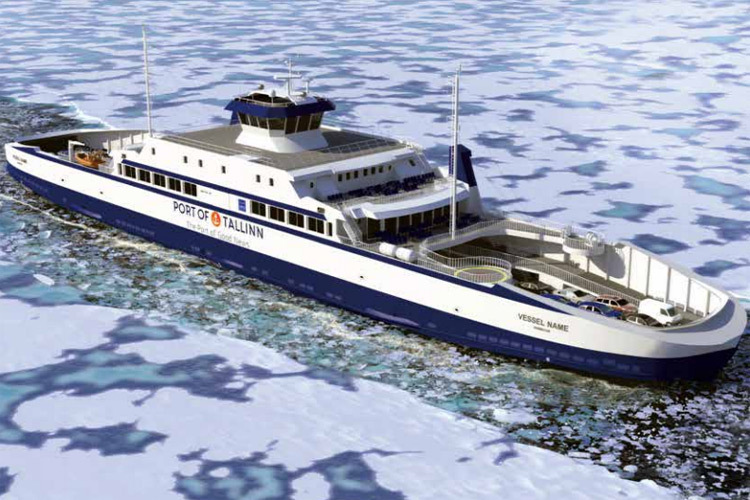 The low operating costs will be undoubtedly advantage of these ferries. The optimized hull's shape will cause lower fuel consumption and NOx and SOx emission to the atmosphere. The high level of automation will allow for minimum manning. The ferries will be delivered to the Owner in 2016. Port in Tallinn is presently the biggest center servicing cargo and passenger traffic in Estonia. In order to improve local connections between West - Estonian islands the grow of fleet was necessary. Several well-known shipyards participated in the tender for the construction of new ferries.